It’s nearing the end of 2015, and what a year it has been. Cocofina has supported numerous charities and we have been a part of so many different things this year. We have won many Great Taste Awards to! However we wouldn’t be here without all your support, so to thank you we are running two competitions. These competitions will be your chance to win a Cocofina Gift Pack. With this you will get a jar of Cocofina Coconut Oil, Coconut Butter and Coconut Nectar worth £19.99. 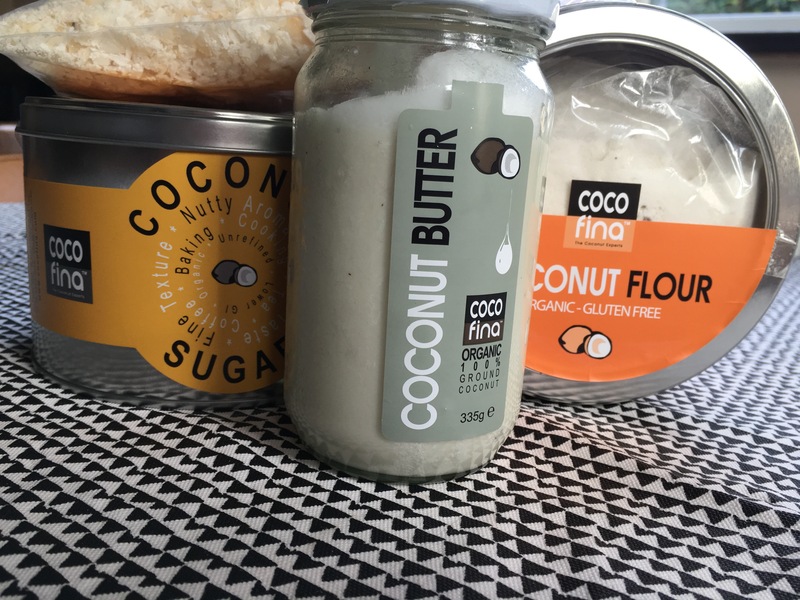 Create something delicious with Cocofina products and send us a picture, with the recipe on Twitter, Instagram or Facebook. If you win not only will you get the Gift Pack but your recipe and picture will be made into a recipe card. You have until the 7th January 2016 to be a winner! Show us that you are a coconut expert. By answering one Coconut related question everyday until New Years Eve, you will have the chance to win a Gift Pack. Get the most right to win! There are two winners for each competition so why not have a go! Even if you don’t win the prize your recipe and picture will still be posted on the Cocofina Instagram, Twitter and Facebook pages. To enter these competitions you must be following Cocofina and use the hashtag #cocofina or #cocofinacompetition. Get involved and get cooking because you could be a winner! Soybean allergy is one of the most common food allergies, especially among babies and children. Approximately 0.4 percent of children are allergic to soy. Studies show that soy allergies often occurs early in childhood and almost always outgrown. The majority of children with soy allergy will outgrow it by 10years of age.Allergic reactions to soy are typically mild; however, although rare, severe reactions may occur. To prevent a reaction, strict avoidance of soy items is essential. Read ingredient labels to identify if products contain soy! Soybeans are a member of the legume family, which include plant species that bear seed pods that split upon ripening. Some examples of others include beans, peas, lentils and peanuts. If you are allergic to soy, you do not have a greater chance of being allergic to another legume (including peanuts) than you would to any other food. Read all product labels carefully before consuming any item. Ingredients in packaged food products may change without warning, so check ingredient statements carefully every time you shop. This is where Cocofina’s Coconut Amino comes in. Coconut Amino is Cocofina’s alternative to soy sauce and can also be used as a salad dressing as well as a tasty substitute for the classic soy sauce we all know and love. Coconut Amino is more versatile than soy sauce so makes a great alternative even if you’re not allergic to soy! Enjoy it in Italian, Thai, Indian, Chinese and other cuisines! 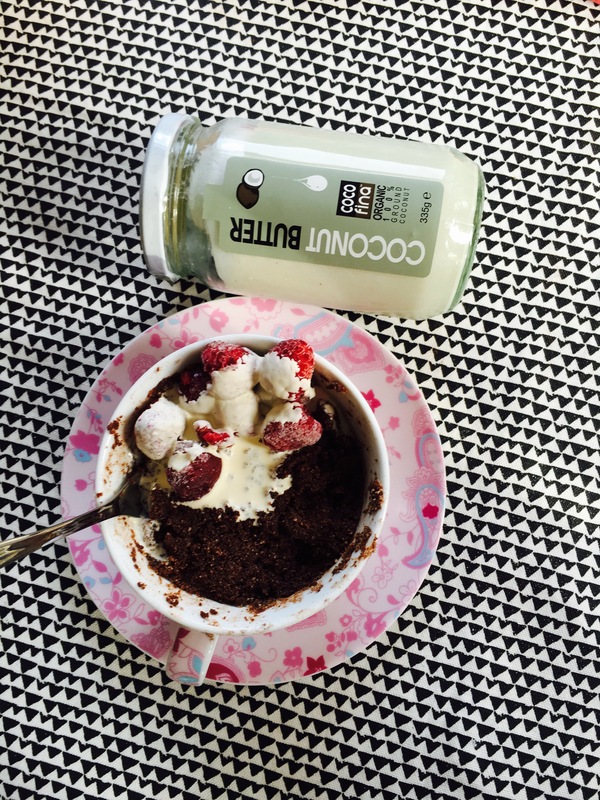 Get your bottle of Cocofina Coconut Amino on our website, Cocofina or at As Nature Intended. Are you in need of a healthy yet tasty treat which is ready in under 5 minutes? We have the answer! Enjoy this tasty vegan chocolate brownie mug cake without the sinful calories, sugar or gluten! 1- Add 1/4 cup Cocofina Coconut Flour, 1/4 cup coconut sugar and 2 tbsp cocoa powder to a mug. Stir! 2- To the dry mix add 3 1/2 tbsp melted coconut butter or coconut oil and 1 tbsp coconut milk. Combine until it is well mixed and like batter. 3- Cook in the microwave for a minute, stirring at 30 seconds. Top with fresh fruit, coconut milk and a few coconut nibs. Enjoy!